Do you remember to pay attention to your body? To listen to it? What will you hear? In a welcoming, accepting atmosphere and with a constant flow of movement, we will explore and develop the listening and awareness to our body and sensations. With simple improvisational instructions each one will explore and discover, in his /her way, how to interpret the information and become more creative with our body and ourselves. We will discover texture and speed; skin, bones, muscles, musicality, groove and the flow of energy. We will become aware of the information flowing through our body. It is about a personal sensation, mind and body communication, outer reach, and the discovery of new ways to communicate through the intuitive and intelligent body. Becoming aware of our patterns and habits thus finding new ones. Finding the pleasure and the infinite freedom in communicating with and through our physicality. Specifying intentions and presence. Being inside and outside simultaneously. Dancing to music - moving to our inner pulse. Born in Israel to a Russian/Jewish parents, Dora & Zacharia. Michael received his professional training at the Bat Dor School of Dance, under the directory of Ms. Ordman, Tel Aviv, Israel. After graduating He started his journey as a professional dancer and performer. Michael worked and interpreted works by Ohad Naharin, Amanda K Miller, Marguerite Donjon, Bill Forsythe and Michael Schumacher. At the age 17 Michael joined the young Bat Sheva Ensemble Company Directed By Naomie Perlov and Ohad Naharin. 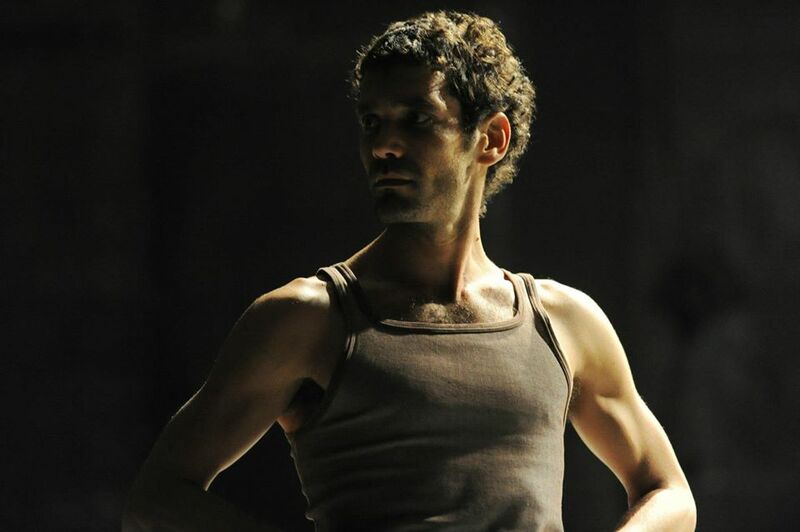 After a year at the Junior company he was invited by Ohad Naharin to join the Bat Sheva Dance Company. In 1999 Michael Joined ‘The Ballet Freiburg Pretty Ugly Dance Company’, Directed by Amanda K Miller. Between 2002-2003 Michael was dancing at the Stats Theatre Saarbrucken, Artistic Director Marguerite Donlon, before joining the last season of Ballet Freiburg Pretty Ugly 2004. His first Choreographic project, a site specific project, was an artistic collaboration with artists from the field of dance, music/sound, and theatre; facilitating an old cotton factory in Saarbrucken, Germany 2003. In 2012 Michael Collaborated with the Israeli Philharmonic Orchestra creating the Fire Bird Ballet. In 2015 Michael was assisting the Theatre and Circus Director - Evgeni Mestetschkin with staging and directing the theatre production ‘ Out of Mea Shearim..’, A joint Israeli-German production with ex- ultra Orthodox from Jerusalem. He has been awarded first and second prizes in two major intentional choreographic competitions. 2008 ‘ CCBC ‘ International Choreography Competition, Copenhagen. 2014 ‘ No Ballet ‘ International Choreographic Competition, Ludwigshafen Germany. Michael teaches and holds workshops based on research and improvisation for professional and amateurs and for Bachelor and Master programs in different Universities and Art school programs. Michael continues his artistic search and Choreographic exploration by meeting with the “Daily Reality” and by collaborating with various artists from the field of Theatre, Dance,Music,Literature and Visual Arts. The Mill and Adelaide College of The Arts present the Micheal Getman Residency and Masterclass Series, May-June 2018 @ Adelaide College of the Arts. ALL Masterclasses are all open to the independent dance community!